Previous reports suggested that Kia Motors was evaluating the Grand Carnival and Stonic for the Indian automobile market. The decision was based on the fact that both the models received the highest response when they were showcased in India for the first time at the 2018 Auto Expo held in Delhi. 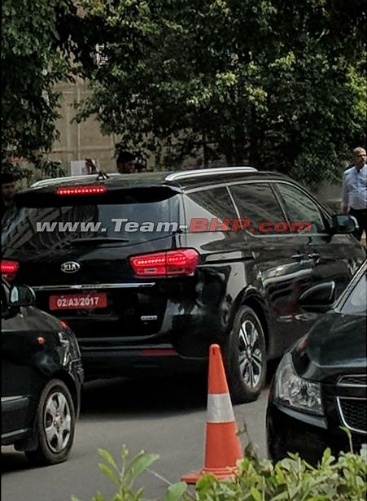 Now, the upcoming Kia Grand Carnival has been spotted during a public road test in India for the very first time. The test mule of the MPV, which was spotted in Gurgaon, featured a black paintjob and was devoid of any camouflage. Dimension wise, the Grand Carnival measures 5115 mm in length, 1985 mm in width and 1755 mm in height while the wheelbase is rated at 3060 mm. Globally, the model is available in the 7 seat, 8 seat and 11 seat format. 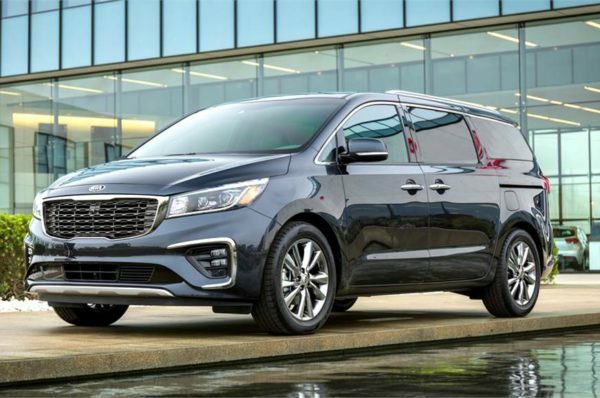 Up-front, the Kia Grand Carnival features a large chrome finished grille flanked by up-swept projector headlamps on either side. On either side, the model is equipped with a sliding door, unlike a few other MPV’s in the Indian market. Inside, the model comes with a dual tone theme, twin dial instrument cluster and a three spoke multi-function steering wheel. Under the hood of the Kia Grand Carnival is a 2.3-litre turbocharged diesel engine. This motor is tuned to produce 199 hp at 3,800 rpm while the peak torque of 441 Nm comes up between 1,750 rpm-2,750 rpm. This engine is mated to six speed automatic transmission. Once launched in India, this MPV from Kia Motors could lock horns with the likes of the Toyota Innova Crysta.